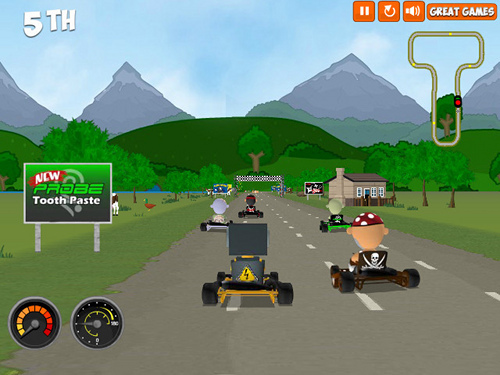 Description 3 leagues, 6 karts, 6 characters, 9 tracks! Controls WASD or Arrows to drive. X or Space to boost.